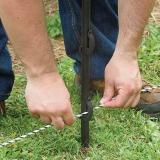 The 48" posts are the best that I have come across for supporting flexible fencing. I use them for electrified netting enclosures, NoShock Chick Fence and even to support an awning fashioned across the front of the coop for shade. 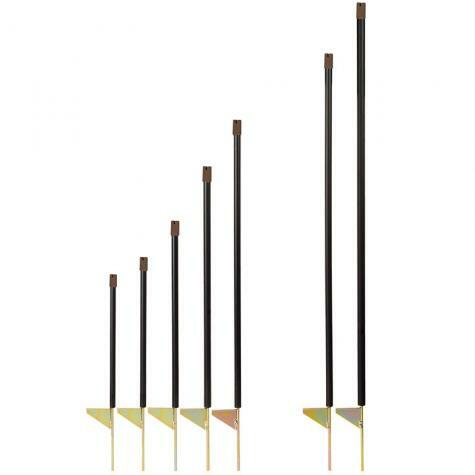 Most posts with plastic step-on stakes were not stiff enough and the steps often snapped off. 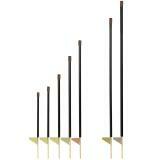 The Fiber Tuff posts are also affordable and made to last. You won't be dissatisfied. 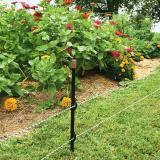 These are a must to keep everything upright and squared with the electric netting. One at every right angle and you are good to go! We are using a combination of Fiber Tuff polls and sticks to keep the netting up. 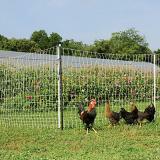 If you are on uneven land extra support is a must with the poultry electric netting. These are easier and faster than sticks but not as free. 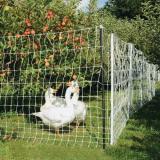 I bought these to reduce sagging in a netting fence. Recently had a large dog tangled in the fence, these posts withstood (the original posts bent). Very happy with this purchase. High winds, uneven soil, and fast-growing grass may cause the netting to sag, which almost always causes the electric current to leak. 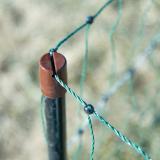 The FiberTuff posts help pull the netting taut and away from the ground to ensure less issues with energy leaks. 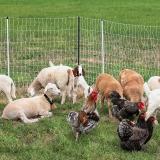 I highly recommend using the FiberTuff posts between every poultry netting post. 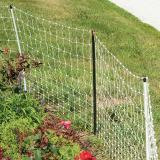 However with the pig QuickFence, I recommend only four FiberTuff posts per 100' of fencing (i.e., for corners and joining) unless the ground is severly uneven—a shorter fence should have less sag, which usually means less contact issues.